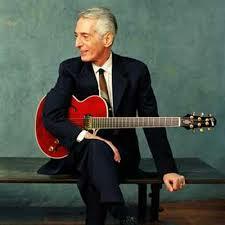 Pat Martino (1944) is an Italo-American jazz guitarist and composer. He is a point of reference in the field of many kinds of jazz styles as post-bop, mainstream jazz, soul-jazz, fusion. He is known for his mathematical approach to the guitar and his knowledge of music theory. He tends to play fast single-notes lines following the chord changes with a clean and round guitar sound. These pages are regularly updated, please do not hesitate to subscribe to the newsletter. This jazz transcription is focused on 4 measures of Pat Martino's guitar improvisation on Sunny (Bobby Hebb), taken from the Umbria jazz live version. This lesson is about a Pat Martino guitar solo transcription with tabs on sunny.